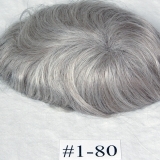 Our choice for type of hair is 100% Human Hair ,except the gray which can be kaneklon We use high quality hand picked hair on all our hairpiece hair system Hair Replacements, unless you request synthetic. 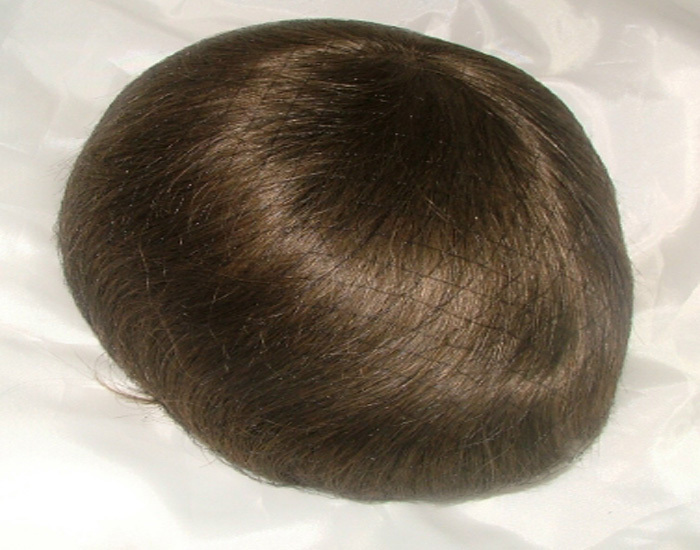 You need not worry about the hair , here is information on our various bases. 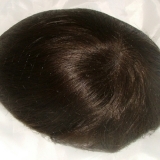 There are several types of hairpiece hair replacement system units you can chose from and they all look fine since we test proof the products from the most reputable manufacturers of hairpieces and feature less than 5% of what is available to us on our web site for our clients .More than 70% of our sales are to our repeat and returning customers. 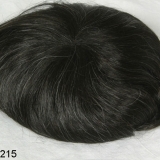 Description of hairpiece, Hair replacements system units on our store. 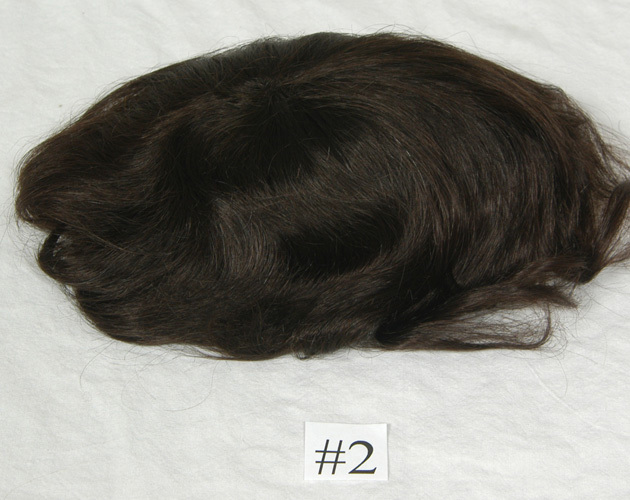 These are the best of hairpieces with all lace bases. 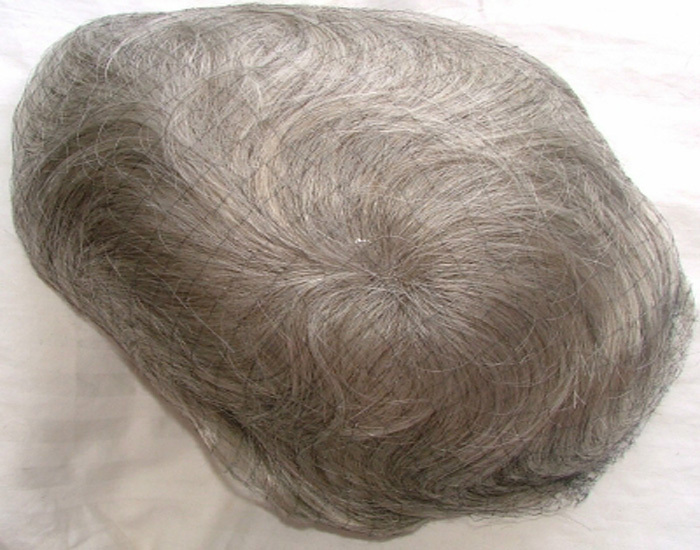 This type of lace is welded, a very sturdy nylon net in pink which disappears in the tone of your skin. 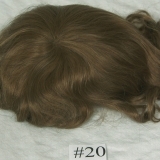 You can cut this lace and it will not fray or unravel, nor will it ever stretch this is because all Kris crosses of this lace are welded.. 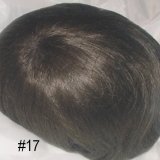 This base differs from the French and Swiss lace in the sense that is more rigid and will not loose shape in the front hairline. 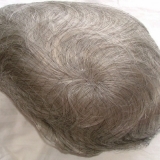 The Swiss and French lace resembles fabric and can stretch a little. 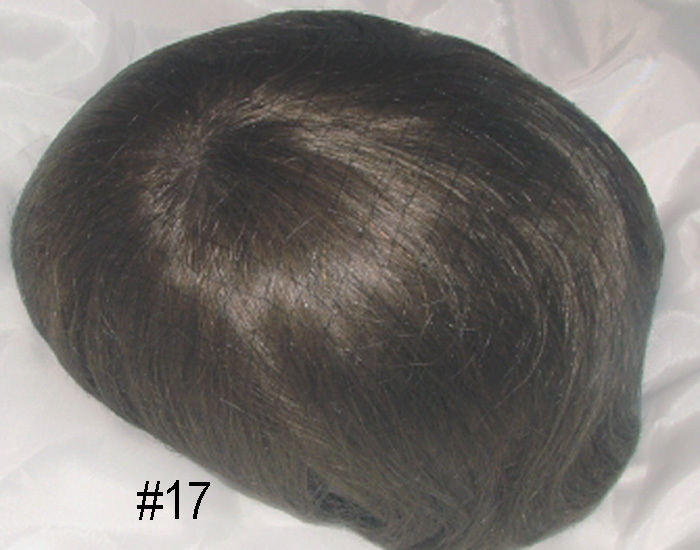 It has a perfect hairline; a real appearance hair is growing right from your scalp. 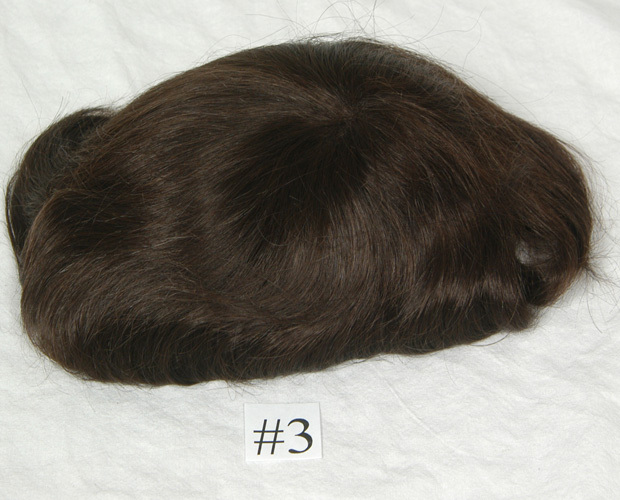 These are the best of hairpieces with Swiss and French lace bases. 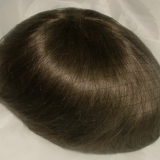 This type of lace is not rigid. 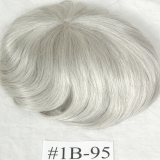 The base is soft very natural looking and resembles lace stocking or lace fabric it usually looks almost transparent against skin it disappears against the tone of your skin. 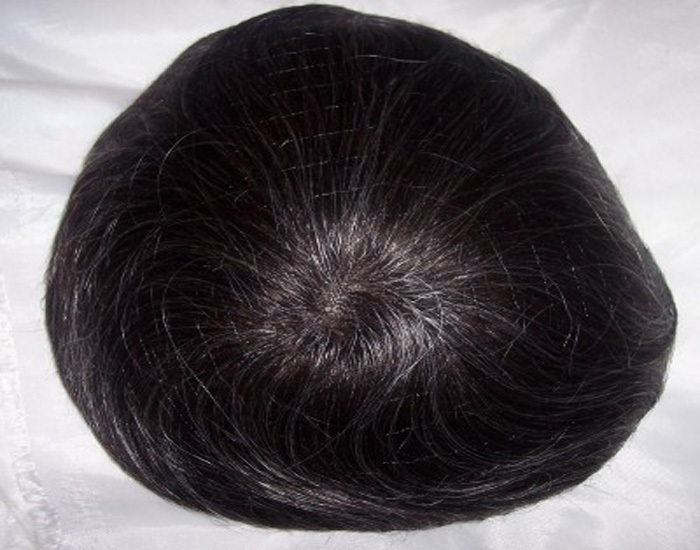 You can cut this lace and it will not unravel, those who have tried and are comfortable with these bases should continue choosing these types of hairpieces. 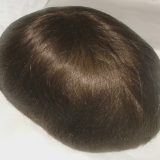 This Invisible Thin Skin Hair System Hairpiece is made from the lightest and most ultra thin poly ever... Each hair is placed into the transparent thin skin hair base with a new state of the art injection method...making it appear hair is growing directly from your scalp. 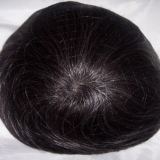 There is no appearance of knots and the hair system looks unbelievably natural! 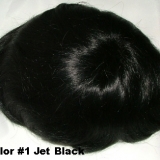 - Ideal for swimming, sports, sleep, etc... 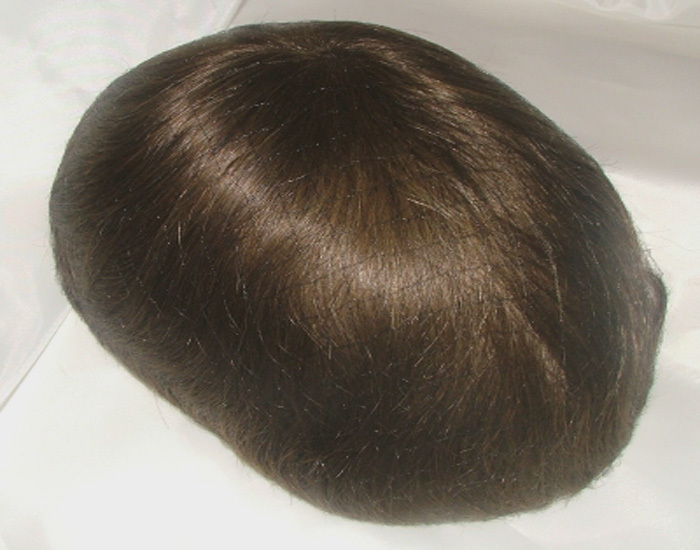 This hair systems base takes on the exact shape of your head and almost "adheres" by itself to your skin without any adhesive tapes. 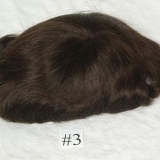 One can brush or comb in any direction, part or uneven part, brush any direction forwards, backwards, right or left. 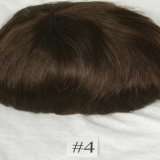 Cut the hair as short as you like, even down to ¾ of inch. 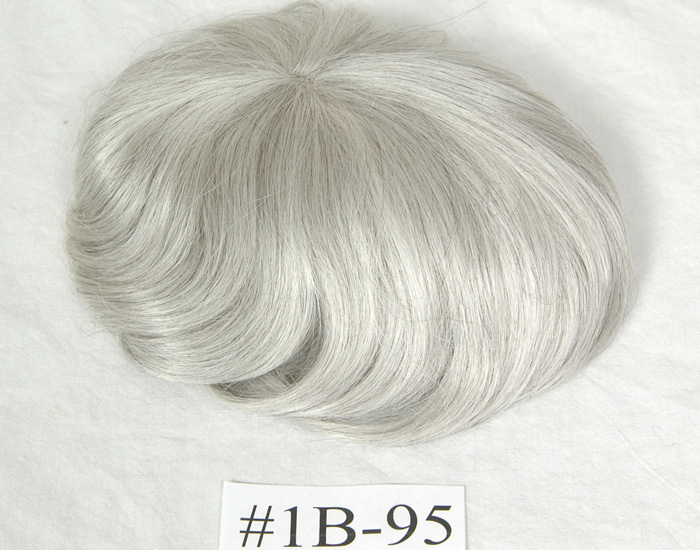 It feels on like real skin. 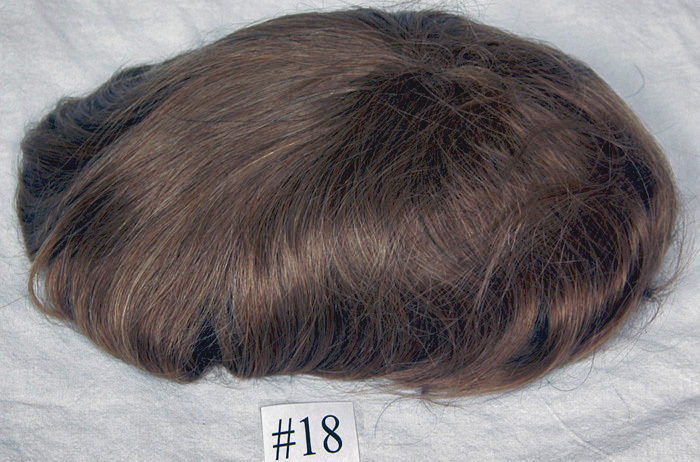 This new Invisible Thin Skin hair system disappears on your scalp. 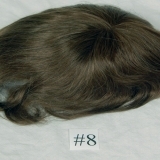 It blends in and camouflages itself! 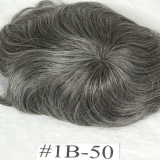 Some customers may want a slightly thicker more durable skin unit. 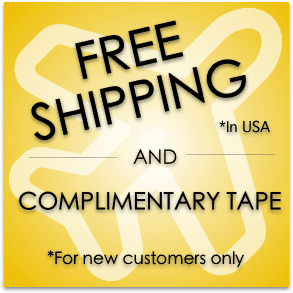 If this is the case just mention that you want level 2 thin skins when placing your order. 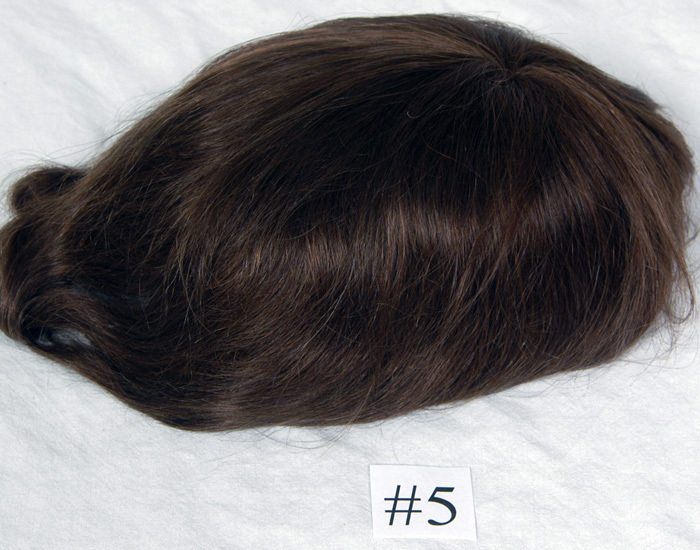 Otherwise you will get the ultra thin skin as default. 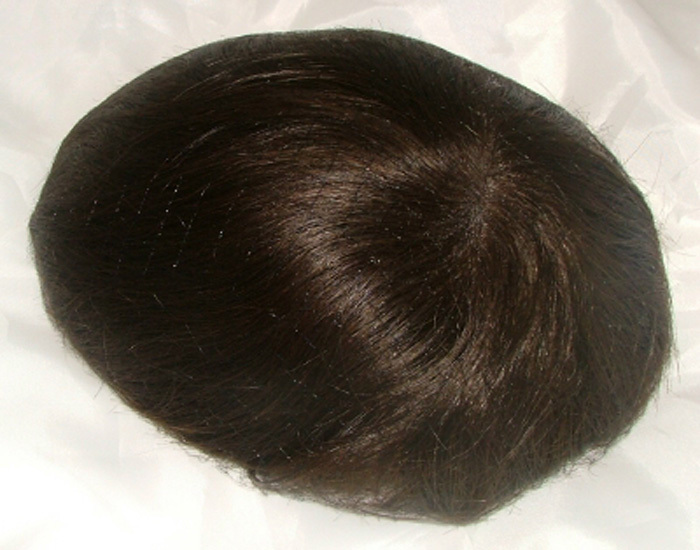 This is the more traditional, more durable base. 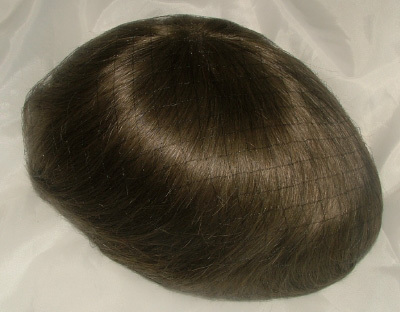 With this base you get more durability if you do not want to expose your front hairline. 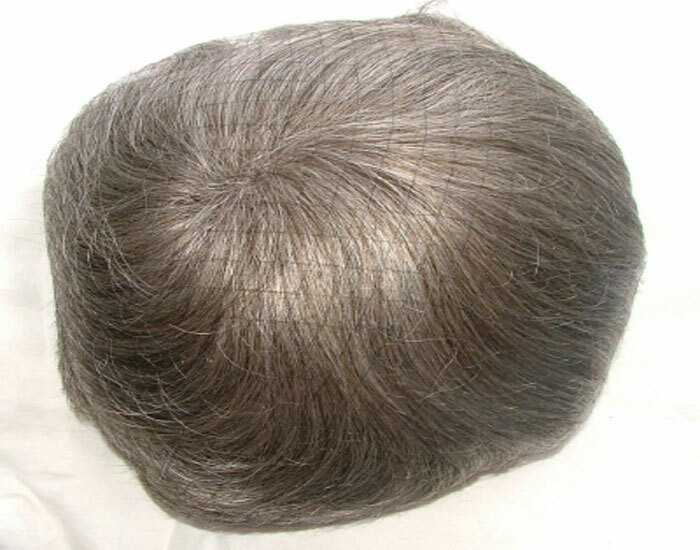 This way you gain durability at the cost of less natural looking hairlines. 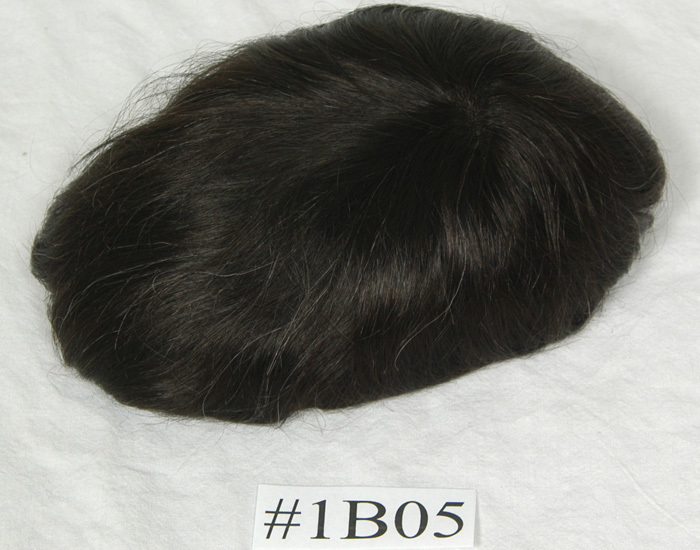 Any of our hair systems can be custom made for additional $90. 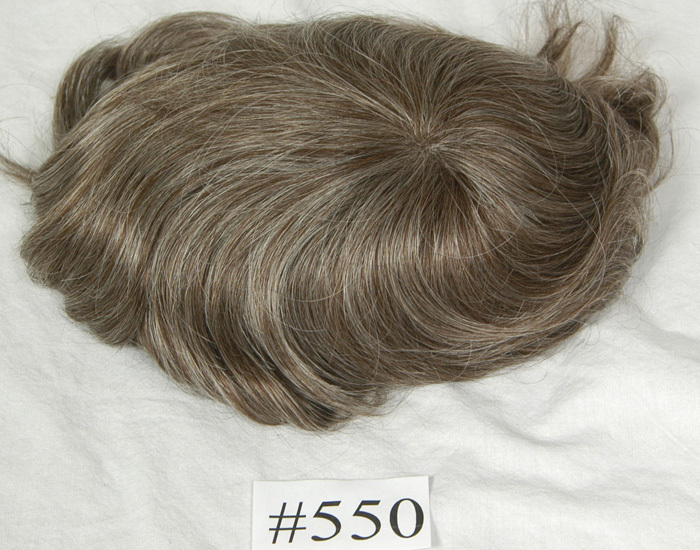 We can also duplicate your hair system. 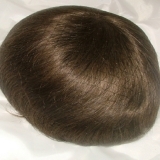 Simply mail it t us with a new hair sample and leave the rest to us. 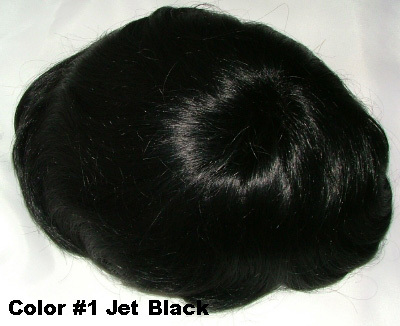 We can also duplicate your hair system. 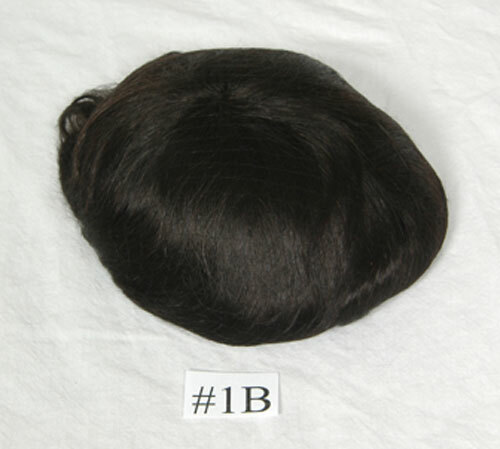 Simply mail it t us with a new hair sample and leave the rest to us. 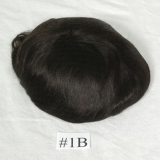 You can also ask for modifications like add one inch to the back of the base and ½ to both side and reduce the density of the hair. 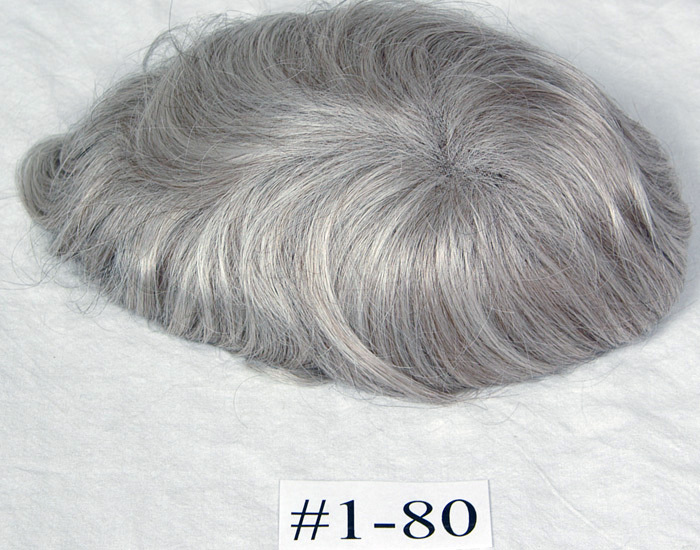 Add more gray, or reduce the gray by10%. 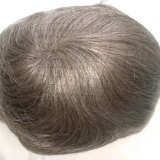 These are full caps covering from ear to ear and hairline to neck. 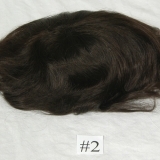 We have available both in Lace or Skin front hairline, giving you the same natural look as the regular size hairpieces which cover the top of the head only. 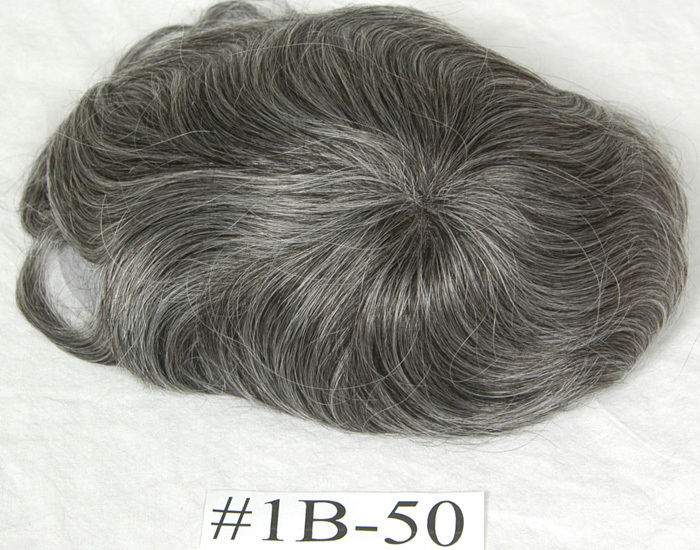 These hairpieces have been around for over 25 year. 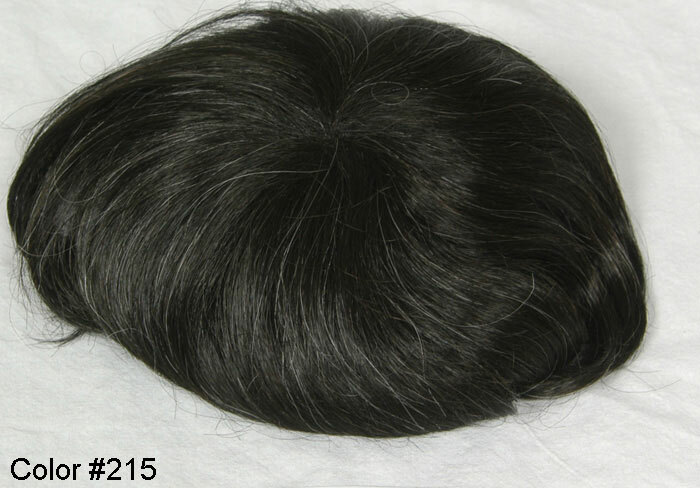 They are very durable but not the most natural looking. 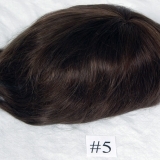 If you are looking for the latest and most natural looking hairline, then this type of hairpiece Hair Replacement is not for you. 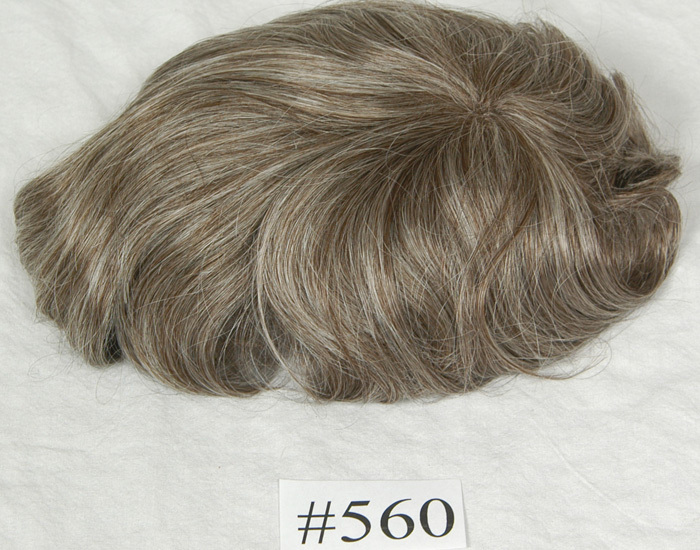 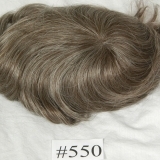 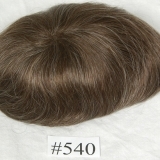 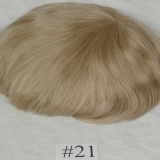 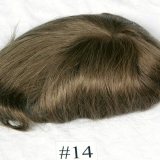 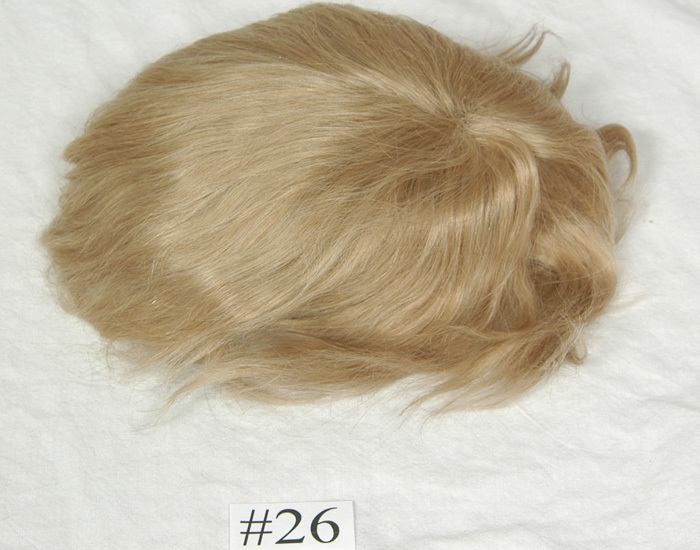 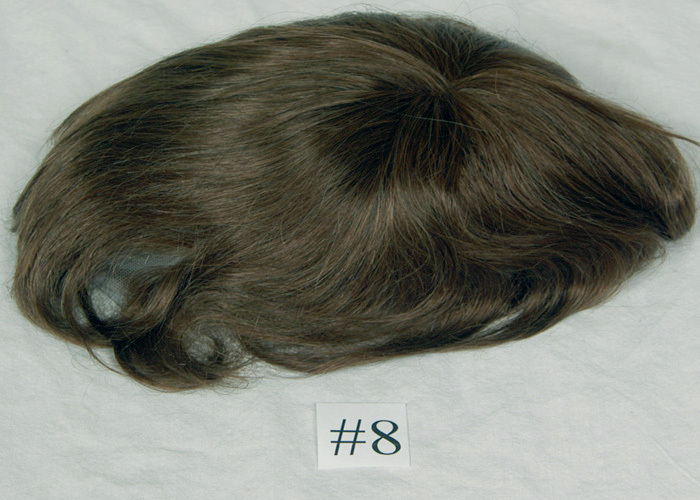 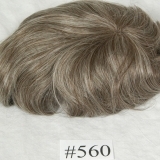 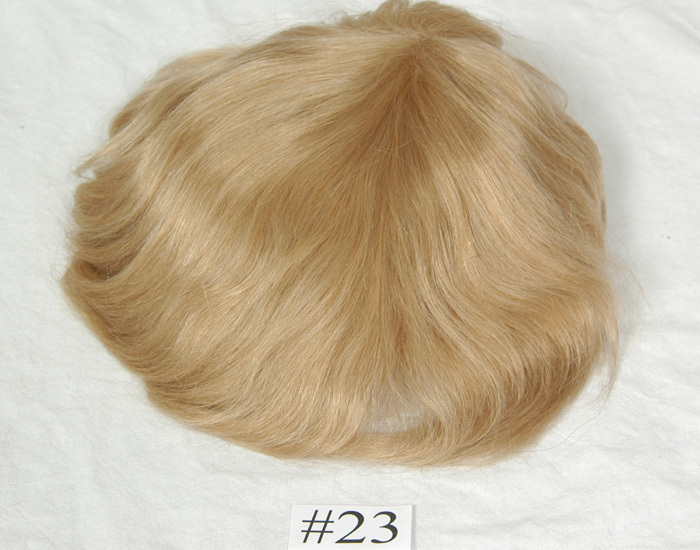 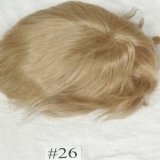 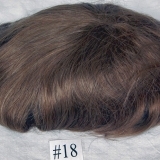 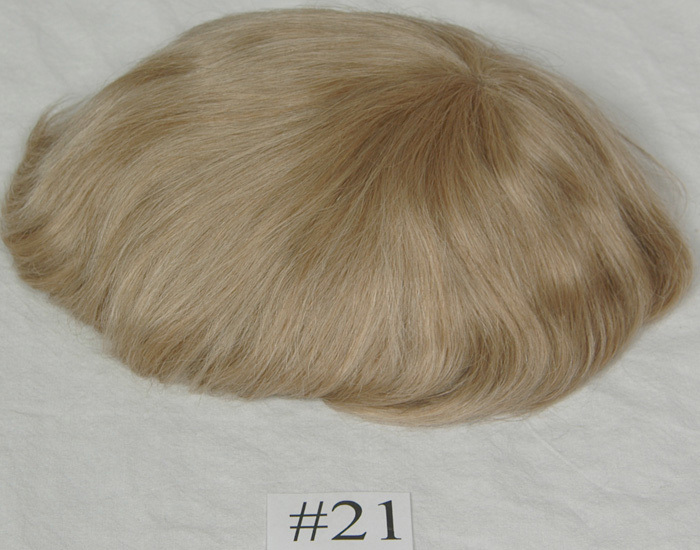 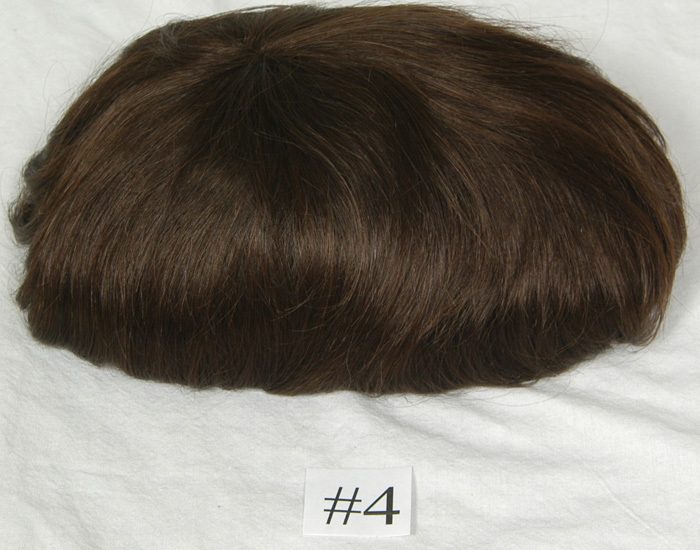 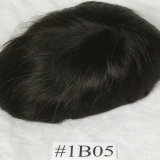 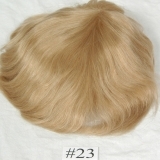 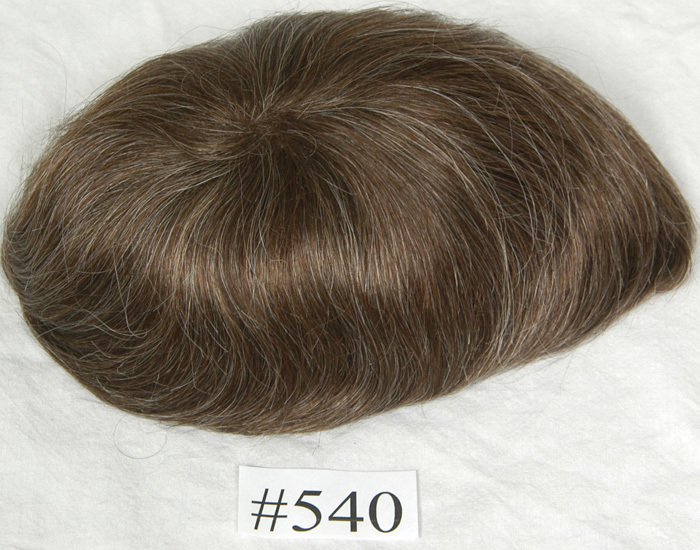 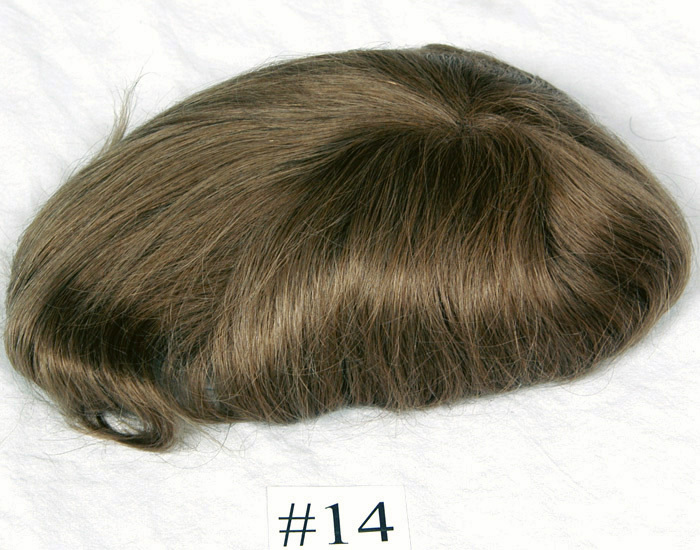 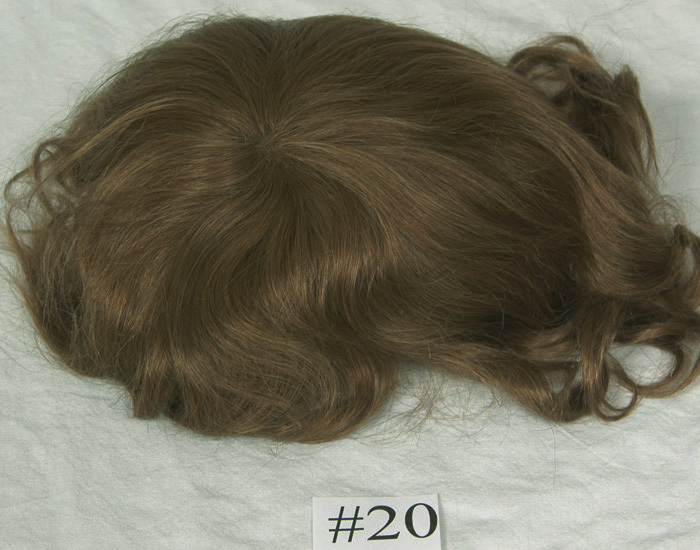 We carry special full wigs made specifically for men, women and (special small cap) for children who have lost their hair due to chemotherapy or Alopecia Areata, Alopecia Totalis.